The events of the past few weeks, starting with the IAF striking a major terror training facility in Balakot, Pakistan; and followed by Pakistani incursions into Bharatiya airspace; and the claims and counter-claims, have once again focused attention on a fundamental fact of the Pakistani state: that it is a state of lies. This article does not attempt to go into the nitty gritty of the various Pakistani claims made over the course of these weeks: whether the claims of having captured 2 (or even 3) Bharatiya pilots, of having shot down 2 IAF planes, of Indian bombs landing on vacant land, etc. There is enough detailed coverage of each of these issues by now, and the interested reader may find the truth they desire. Instead, I want to, using just two images, underline this basic fact of the Pakistani state – of being a state of lies. Once the reader sees these 2 images, no further words will need to be said. As they say, a good picture is worth a thousand words. The first image is of the date 17 December, 1971, while the second one is from a day before, i.e. 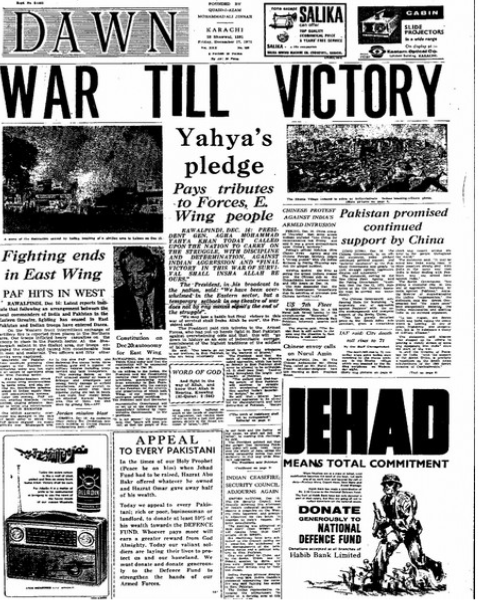 16 Dec, 1971. I need not write any more. 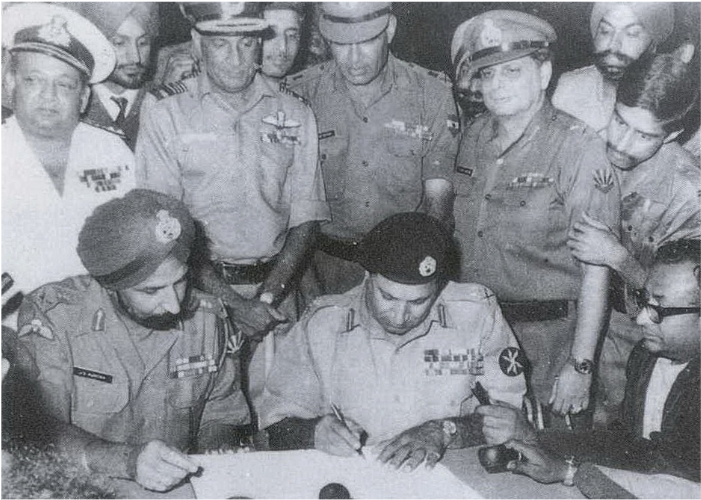 Pakistan military signing the Instrument of Surrender on 16 December 1971 in Dhaka.